Why Are Michigan Teachers Switching to Interactive Flat Panels? Collaborate and Annotate with Ease... and our REMC price can't be beat! 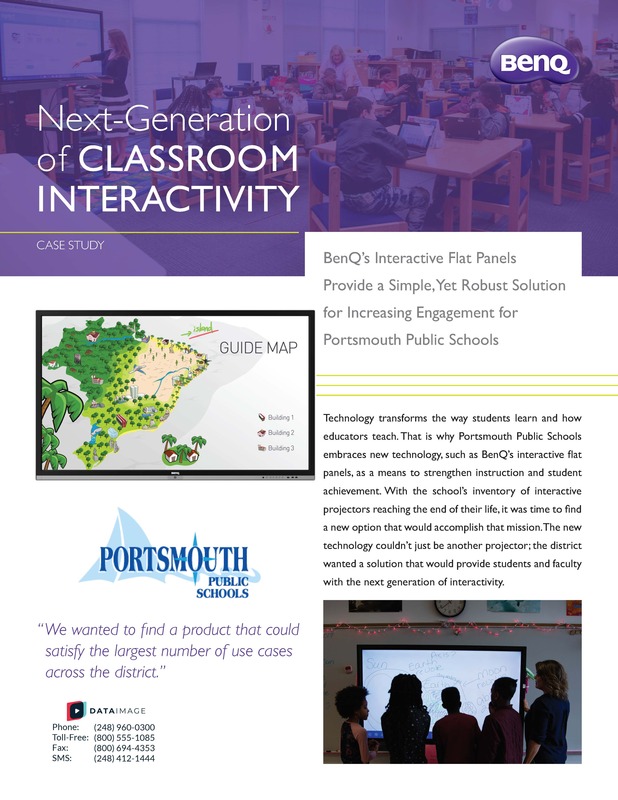 Interactive Flat Panels are taking over classrooms... and BenQ will help you make the switch without breaking the budget! 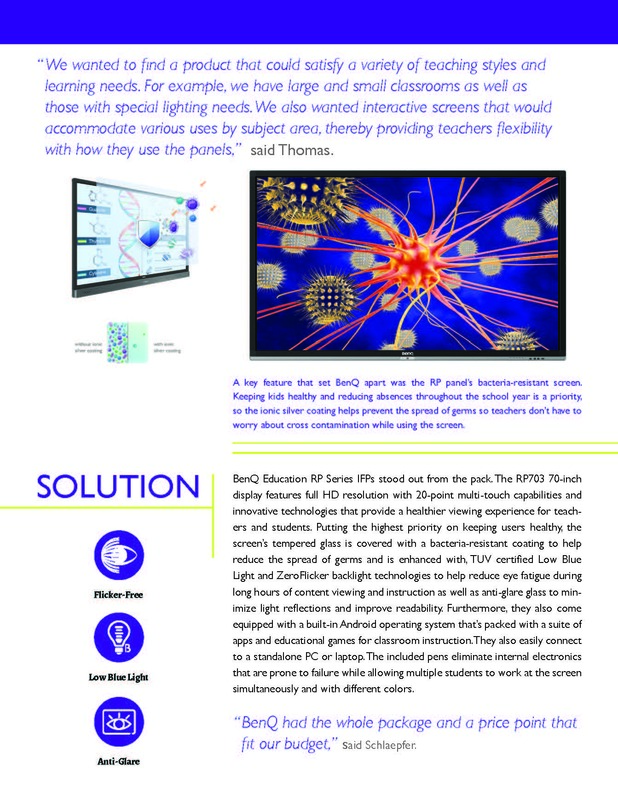 Michigan educators everywhere are discovering how easy it is to engage their classroom with Interactive Flat Panels (IFPs). BenQ is leading the way with stunningly bright glare-free image quality. The following Michigan agencies are eligible to purchase using REMC SAVE contracts: PreK-12 Public, Charter (PSA) and Non-Public Schools, Community Colleges, Universities and Colleges, Public Libraries, Museums, State, County, and Local Government Agencies, Educational Non-profit Organizations, Health Care Facilities. The BenQ RM6501K Interactive Flat Panel is your ultimate interactive display to achieve a touch-enhanced, smooth and fun learning experience. Lag is annoying. You need this panel’s ultra-smooth handwriting, which you can experience using either your finger or the dual pens provided. No more capping and recapping. Use those dual pens to write with two different colors at the same time. Protect your eyes from harsh blue light with the low blue light technology this panel offers, as well as the flicker-free technology. Nobody wants eye strain and visual fatigue from looking at flickering LED backlights all day. Handwriting should feel natural. This flat panel can detect different types of strokes; finger, the IFP stylus, watercolor brush, or pencil, so that you can write just like you would on a whiteboard or piece of paper. The anti-glare display screen reduces the glare that causes reflected images on the screen and makes it difficult for students to see, take notes, and stay focused in class. Enjoy clearer images, more legible text, and less eye strain. You can read your handwriting, but that doesn’t mean your students can. The intelligent handwriting recognition feature allows presenters to convert written text, numbers, forms, and drawings into legible materials without having to switch modes. Increase learning efficiency in the classroom with the floating toolbar. This on-screen menu lets you access a wide range of functions quickly and effortlessly. InstaQShare is designed for wireless presentation and collaboration. Users can invite up to 16 participants to mirror content from mobile devices and steam audio/visual files and Full HD quality video. There’s no complicated setup with this flatscreen. Just connect to a PC via USB and you’re all set to deliver compelling IFP touch-enhanced lessons. Teachers can also share teaching materials to more than one screen through HDMI out. Get the BenQ 65" Interactive Flat Panel for just $1699* with REMC SAVE!